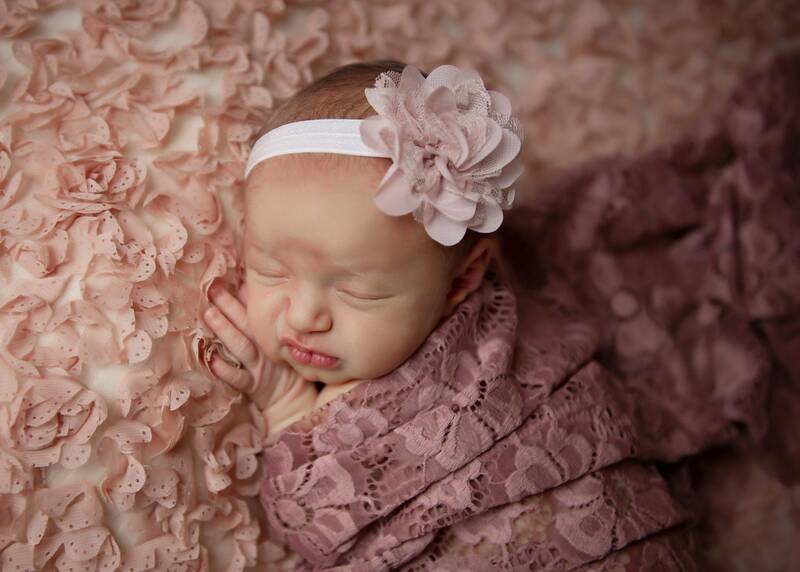 Get a beautiful vintage look with this mauve embroidered lace fabric. 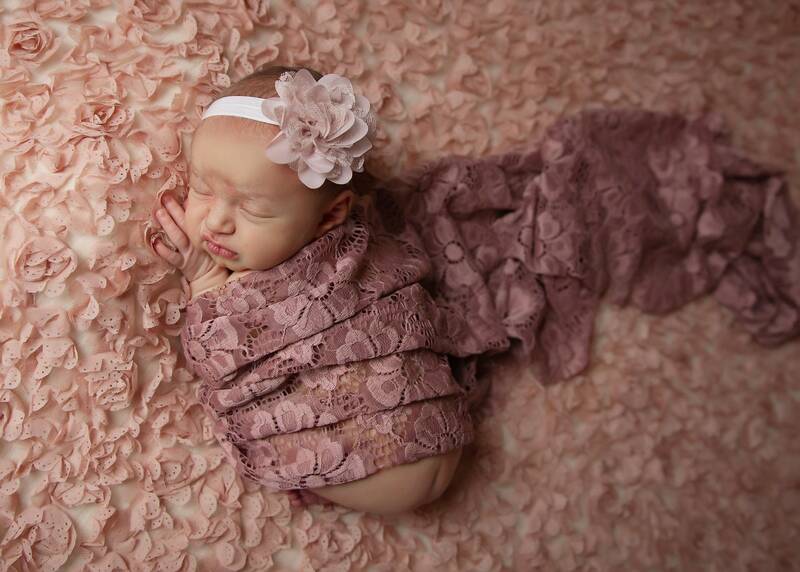 Use this fabric as a swaddle wrap for a newborn. This Floral Lace Fabric 90% Nylon and 10% Spandex. Set includes dusty rose chiffon flower shown. 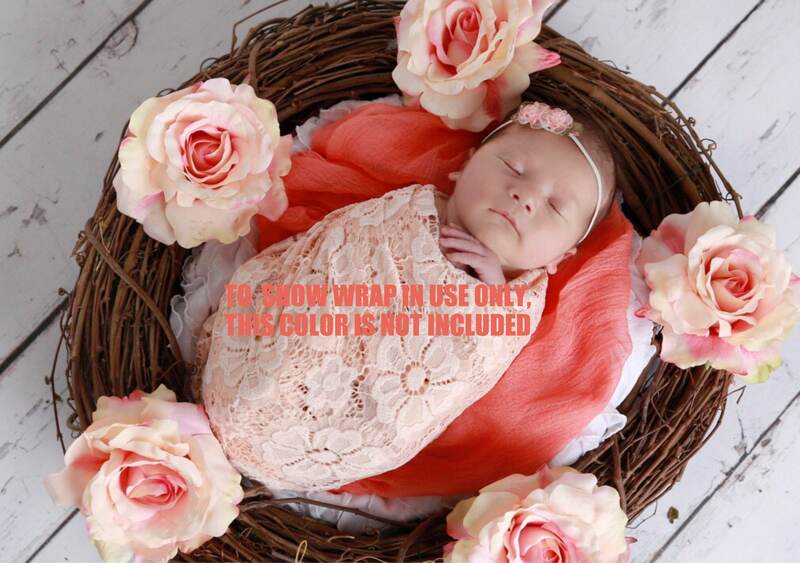 This stretch lace wrap is 16 X 58" and can be used for layering or as a swaddle wrap. 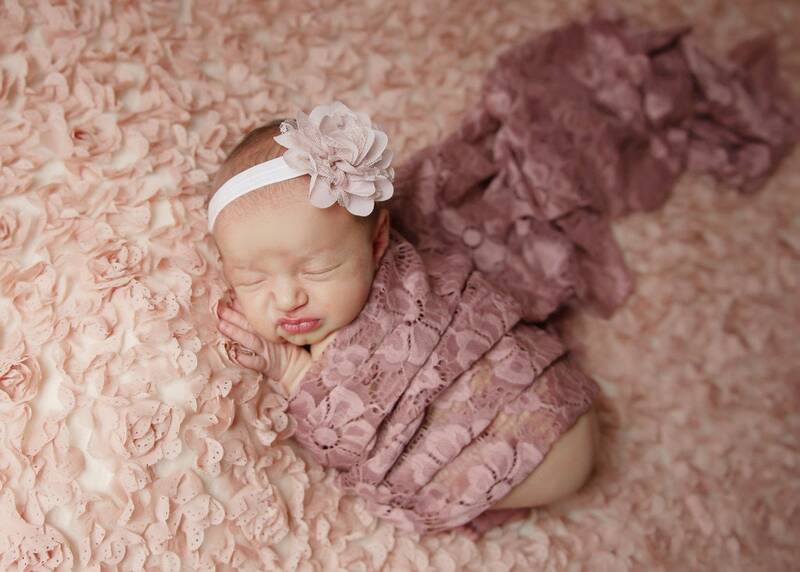 Headband measures 13 inches and can be worn from 0-6 months, Flower measures 3 inches, approximately. 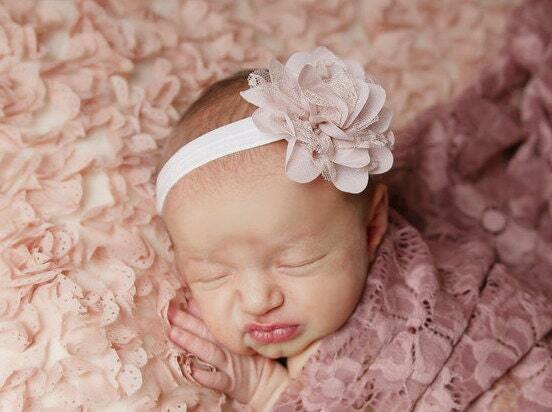 You may also purchase the headband in the larger size for sister photo shoots.